As part of Zachary’s 35th Anniversary Celebration, we’ve created a collection of unique enamel pins that celebrate art, pizza, and local love. 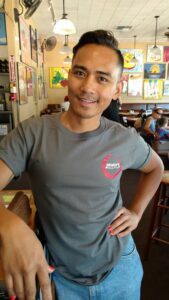 Each of our four restaurants (Oakland, Berkeley, San Ramon and Pleasant Hill) has its own exclusive design, so if you want the whole collection you’ll need to visit each location. 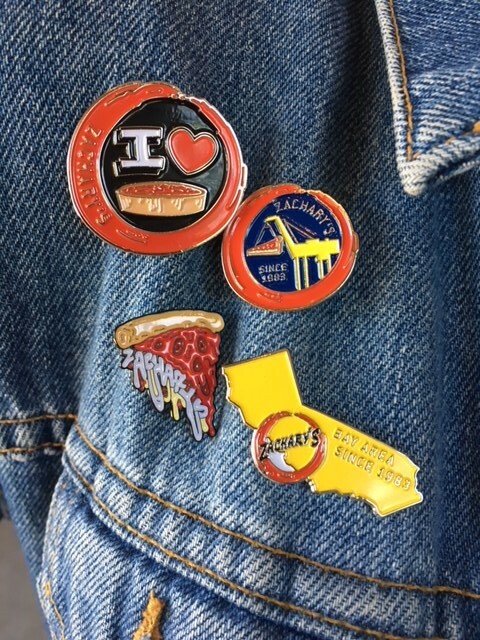 If you spend $35 or more on our 35th anniversary (Wednesday, July 25th) you will receive one free pin. 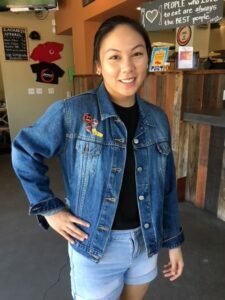 Additional pins can be purchased at $4 each, and proceeds will benefit the Alameda County Community Food Bank and the Food Bank of Contra Costa and Solano. Pins will be available after July 25th while supplies last. Additionally (there is more! can you believe it?! 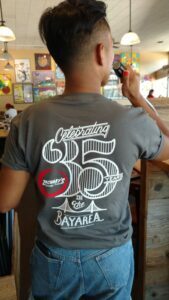 ), we’ve created a limited edition, 35th Anniversary t-shirt available for sale at all of our restaurants and online! Supplies are limited, so grab one soon! Stay tuned for more exciting 35th Anniversary details including special 1983 pricing on our ready-to-go half baked Spinach and Mushroom pizzas! 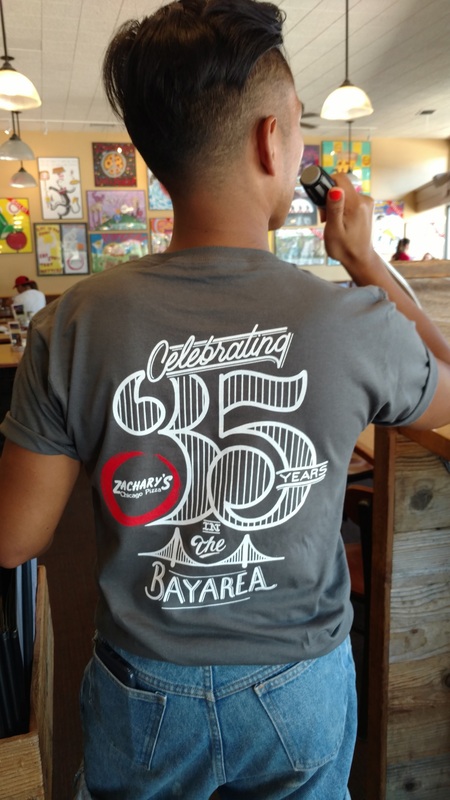 Make it a summer of Zachary’s – collect all four pins and a 35th Anniversary t-shirt! 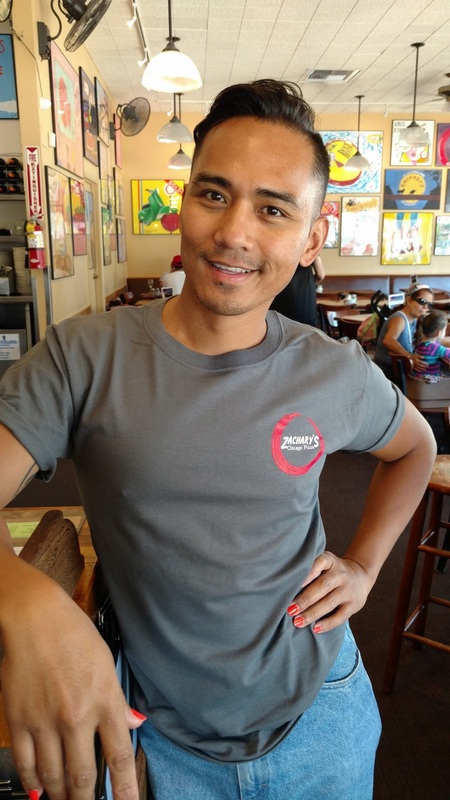 « FIRST EVER ZACHARY’S ART FUNDRAISER!